And a little help from this guy! My times have changed! 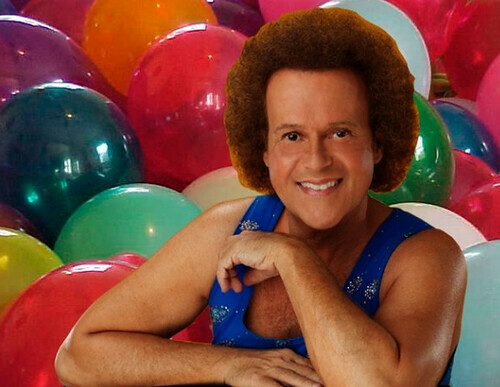 The world seems to be at a faster pace than it was 25 years ago when our friend Richard Simmons was all the rage. Gone are the days of leg warmers and wristbands...at least for the moment. These days the time seems to fly and we squeeze in our workouts as quick as possible! We want to encourage you to get out and move...it's not so easy on cold dreary days but consider this your motivation and STAY HEALTHY! You do need to take the plunge and order Tracy Anderson's workout videos...GUESS WHAT? They really work. Check out some of her adoring clients. We both love to go for long jogs and crank our music as loud as the volume control will allow but regardless the number of songs you have downloaded, we all get tired of the same old tunes. Here is a great playlist to help you get moving. We would love for you to share some of your favorites with us! Grab your shuffle and GO! 0 Response to "An Apple a Day..."